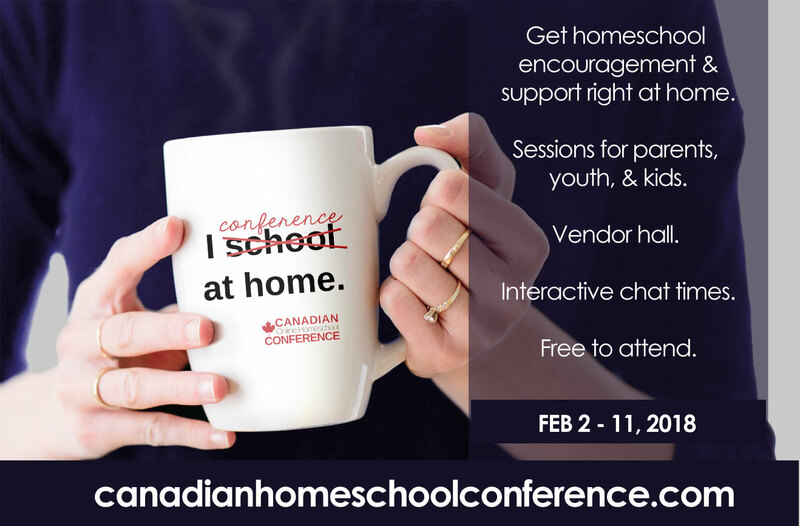 I am thrilled to be a part of the Canadian Online Homeschool Conference. I thouroughly enjoyed listening to all the amazing speakers last year, and this year I am privileged to be offering some parental support. It is absolutely free to attend the conference from February 2-11, and then for a minimal cost, you can have access to all the workshops permnently. I am talking about building yourself a homeschool support network. “Call it a clan, call it a network, call it a tribe, call it a family. Whatever you call it, whoever you are, you need one.” A support group can make the homeschooling journey easier providing support, encouragement and activities. But how do you find your tribe? This overview will give both newer and veteran homeschoolers some ideas and practical steps on how to find, start and maintain a homeschooling support group. Jennifer Gehman is a veteran homeschooling mother of five children – one has completed her post-secondary education, two are currently attending university, and two are still learning in the living room. She is a co-founder of Wildwood Curriculum, past-president of the Manitoba Association for Schooling at Home, and a certifying facilitator at the Neufeld Institute. She holds a Bachelor of Education from bygone days but her greatest claim to fame at this time, is that after working through Grade 12 four times (including her own), she is still sane.